Personally, I feel the auto-complete option could have been implemented similar to how Kotor 2 retroactively allowed you to set up Revan's gender and allegiance. A selection of options peppered in the various dialogue to allow a more suitable fit for the kind of character you are playing. I've never played KOTOR 2, but for Dragon Age they had this whole website called Dragon Age Keep where you could "build your backstory" to base your next game on. Then again, with SWTOR being multiplayer I kind of like the idea of people with "unusual" choices actually having "earned" them by playing through the story instead of just ticking some boxes. I finished the story in about 30 minutes or something. I don't care about dailies, am I going to have to wait another 3 months for more story content? @ Anonymous 1: First off, if you play the other faction you'll have another half hour or content to play through. It's depressing to me to already see people who played only half the content complain that there isn't enough - that kind of attitude is exactly why we got settled with an annoying "one size fits all" storyline for the past three years. Also, I'm not sure what you expected... SWTOR's actual story content updates never take much longer than this to complete. Thanks for your answer, I just figured there would be a little more story to play through with a whole new world. But I guess I was mistaken, I've since read that there is supposed to be a new expansion on the horizon relatively soon (6.0) which should bring more actual story content? Also after seizing a throne and making an alliance going back to just simple Empire vs Republic seems... boring without class stories. Indeed, there will be a 6.0, though we don't know anything about it yet other than that it will be a thing. And a lot of people actually didn't care for the Eternal Alliance at all and have been longing to get back to Republic vs. Empire - myself included. On launch night I played both faction stories and my only criticism is that the republic story pacing seems off. You're doing fairly standard quests and then just get a big reveal, a boss fight and it's over. The impside stretched it out a little and overall seemed to flow better. Everything else so far is really good. From the difficulty of the mobs not being one shot kills, I can actually do full rotations and use cooldowns. It feels like a game again and not a movie. The dailies are of the type I like, nice and simple and plenty of them. The heroics need to be approached with a little care. I even stumbled into the heroic 4 and enjoyed the challenge of soloing it on my 242 geared Jugg with a level 10 companion. It took two wipes and lots of LOS, kiting, heroic moments, cooldowns, CC, mild panic and a few expletives, but I did it. 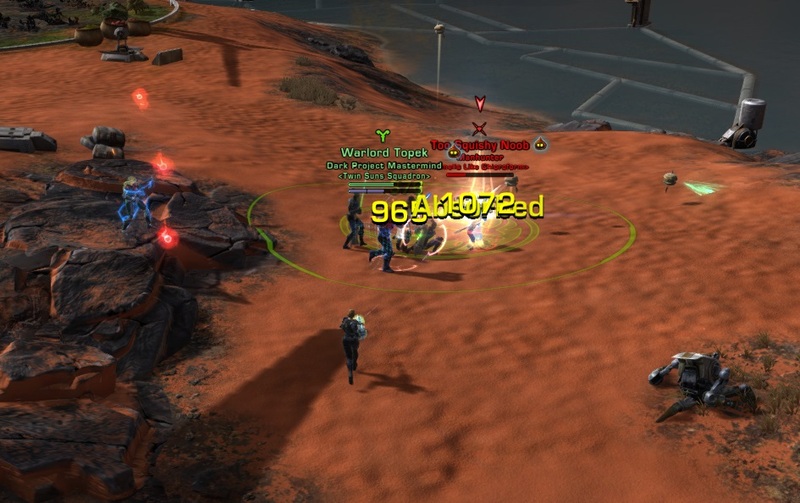 If 5.10 is an indication of what to expect in 2019 then 2019 could be a very good year for Swtor. It's certainly tempting me to come back to the game. I'd give 5.10 an 9/10, it's kept me entertained for 15+ hours so far. Glad to hear you're enjoying it too! :D Also, fancy meeting you in that Voidstar, heh! You sure earned those MVPs. Thanks, not played PVP for so long I can't remember the last time I did, must be over a year. So I'm really rusty at pressing the buttons and killing stuff but objectives, objectives I can do.